I forget her name, but I remember her amazement quite clearly. There was an expected bit of sensory overload, mixed with an equal amount of head-spinning at the virtually limitless possibilities. It was something like watching a person who had been blind their whole life able to see for the first time. The company I worked for was doing a community service project for National Literacy Month, which happens every September. We held a big book drive at the office, and distributed them to a few organizations who had good programs which encouraged people to read. My task was to conduct some “digitial literacy” training for one of those organizations, Second Chance Last Opportunity (SCLO). Our company (a telecommunications company) was installing high-speed Internet service, and donating a few computers for use by at-risk teens, single moms, low-income families, and the homeless in the area. SCLO offers important life management skills programs that teach people things like money management and job readiness. So these Internet-connected computers provided a way to connect with online resources to help them develop a resume, and search online classifieds and job listing websites. In the short time I had for my workshop, I saw a hunger develop in the people… a hunger for more. I didn’t have the time to teach them how to land a job. However, it seemed more than enough to help them discover the new ways to find one. With as much as they had going on, I figured that I would need to leave “How to Build a LinkedIn Profile” for a later lesson. I learned a few things that day about integrating my faith with my work, and with how to do social justice in the workplace. We often think that we need to go to far-away places like Haiti or Africa to see poverty and social inequality. The truth is that it’s right here in our own neighborhoods. There are always local projects that you and the company you work for can do to be a blessing to your community. And don’t try to reinvent the wheel… find organizations who are already in place that you can come alongside. Sometimes we feel like doing good deeds need to be done with a giant “get saved” banner along with it. 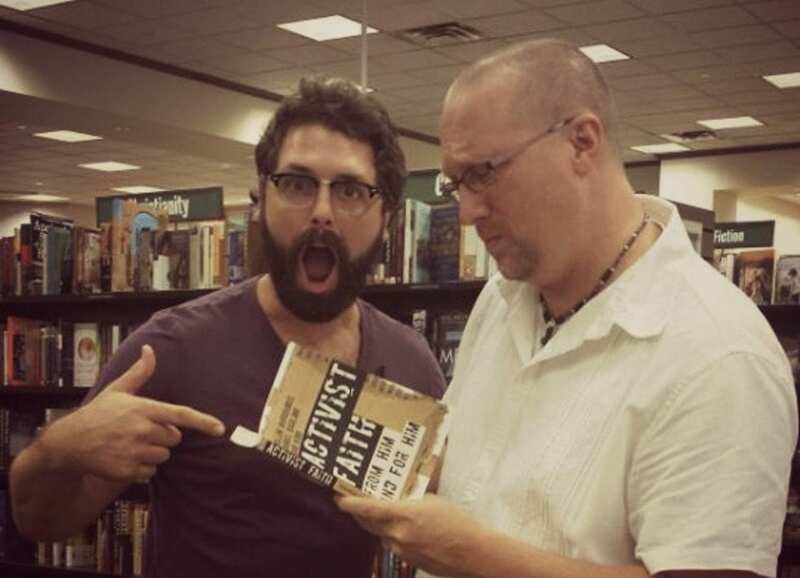 Doing social justice doesn’t have to be an evangelistic crusade, but it does have evangelism-related imapct. I had plenty opportunity to talk to people there about my church and what I do in ministry too, but my company didn’t have to host a tent revival in the process. The bottom line is that God called us to love people. 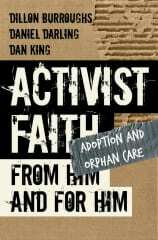 So do projects like this simply because it’s partially what it meas to be a follower of Christ. What kind of social justice projects has your company or organization taken on? How can your company be about social justice in your community? Note: This post is part of a community link-up with TheHighCalling.org on the topic of Social Justice at Work. There are lots of other great stories and ideas from other members of the community as we explore this idea of integrating faith and work. 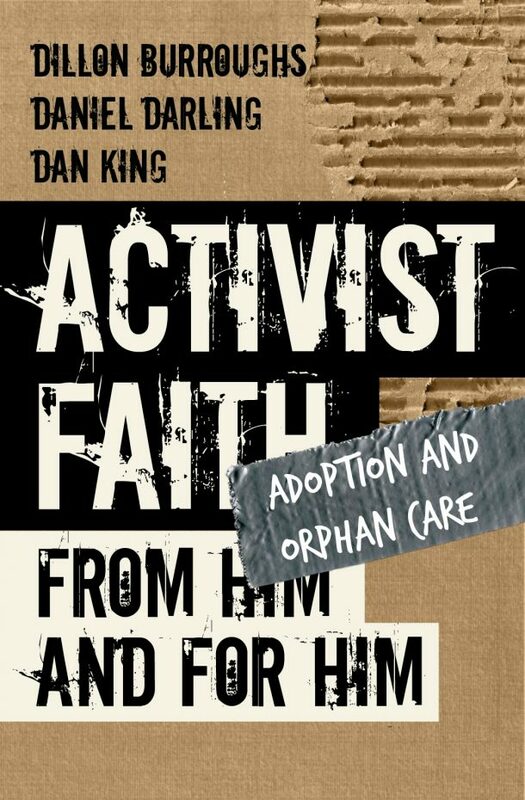 It’s a personal favorite topic of mine that you’ll also see me discuss in great detail in my books, The Unlikely Missionary: From Pew-Warmer to Poverty-Fighter and Activist Faith: From Him and For Him. Dude, this article makes me jealous that I didn’t write it. I love the idea of the “Easy” button versus the implied “Get Saved” button. That plus the fact that you tell a fantastic story to illustrate your ideas. Oddly, much of my social justice work in our community is related to the theater. We have a tremendous recovery community. This is largely a good thing, though recovery communities are just a few bad decisions away from being relapse communities. The theater gives us a chance to engage with people who desperately need positive communities and positive projects. Rehearsals every night of the week became a kind of non-addiction focused 12 step program. They don’t have to confess to their addiction every night, but they do have to show up sober and positive and ready to work. A little community theater helps them resist the predatory drug dealers who see recovery communities as a chance to reengage a customer before he kicks the habit. that’s awesome marcus! i think a big part of this whole idea is with being intentional about the well-being of other people around us. if we’re honest, we all have some kind of crap in our lives, and need people to encourage us. Jesus said this is how the world would know us… by the love we have for each other.